In December 2006, the UK's Serious Fraud Office (SFO) stopped its investigation into alleged bribery and false accounting in BAE's arms deals with Saudi Arabia. The Corner House and CAAT immediately launched a Judicial Review of this decision with widespread public support. In April 2008, the High Court ruled that terminating the investigation was unlawful and issued a scathing condemnation of the whole process. "No-one, whether within this country or outside, is entitled to interfere with the course of our justice", the two judges said. But just three months later in July 2008, the House of Lords on appeal overturned the High Court ruling, concluding that the SFO Director was simply exercising his legal discretion to stop the investigation. This was obviously disappointing, but there have been many positive outcomes. The legal action brought a range of issues into the public realm; clarified the law; released a wealth of invaluable information; and exposed BAE's relationship with the UK Government. Despite the final ruling, the decision to stop the SFO's BAE-Saudi bribery investigation continues to dog the Government and the company. This website provides not only relevant background to, and press releases about, the issues, but also a detailed timeline describing and analysing the legal challenge’s progress with links to key court documents, disclosed information, related actions and media reports. 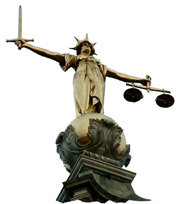 This timeline discusses events following the July 2008 ruling to illustrate that even though the legal case might be closed the issues it raised are still very much open.